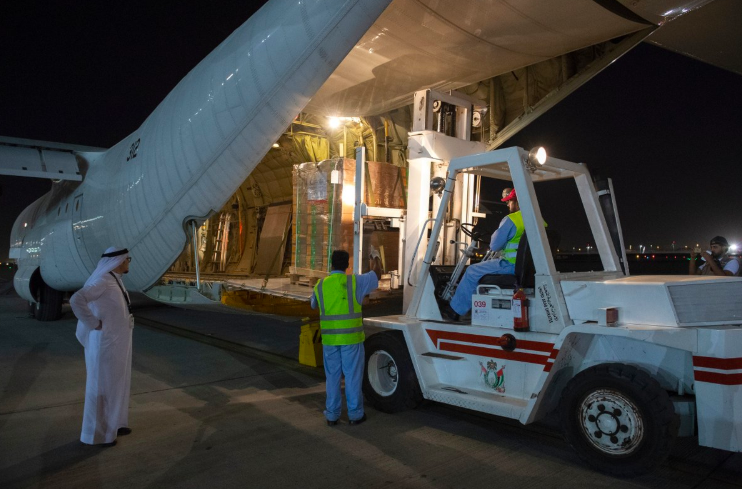 His Highness Sheikh Mohammed bin Rashid Al Maktoum, the Vice President, Prime Minister and Ruler of Dubai, is sending 60 tonnes of emergency humanitarian aid to help those affected by the flash floods in Jordan. Heavy floods swept parts of the Kingdom over the past few days, due to heavy rainfall that has not been witnessed by the country in years. 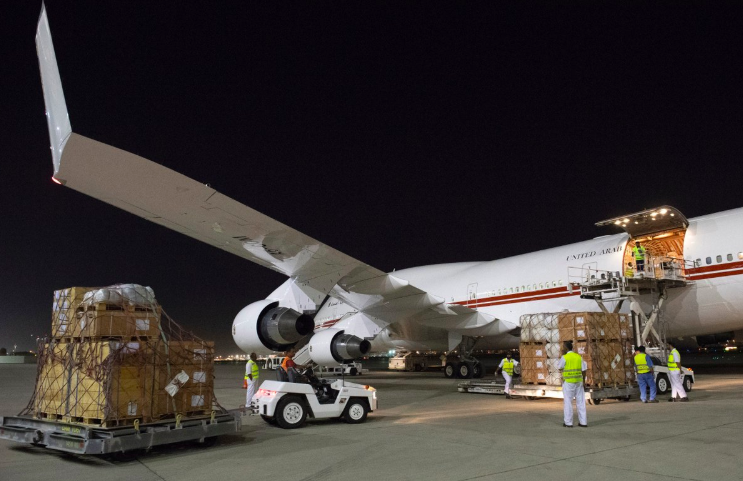 Two planes, the Lockheed C-130 Hercules and the Boeing 747, will carry medical supplies, food, tents and other crucial goods. Her Royal Highness Princess Haya bint Hussein, Head of Dubai’s International Humanitarian City, personally oversaw the loading process. Princess Haya said that she will continue to follow up on any developments in Jordan regarding the weather conditions, in order to provide more aid accordingly. The flash floods which hit Jordan on Friday, November 9, 2018 have led to 12 missing people in Wadi Bayer in the Ma’an Governorate, a death toll at 12 and a missing girl whose parents’ car was swept away in Madaba. Search and rescue teams with the Civil Defense Directorate (CDD) are still searching for the missing girl up until now.